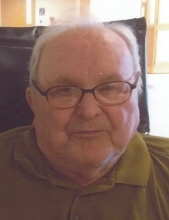 Stanley Walczakowski, age 92 of Clinton Township, passed away January 25, 2018. Stanley retired from General Motors as a Mechanic in 1994 after working there for over 20 years. He was known for being able to fix anything. He loved dancing and gardening. His family was his life. Loving husband of Yolanda; predeceased by his siblings Lola and Vroek. Stanley is also survived by many nieces, nephews and extended family members. To send flowers or a remembrance gift to the family of Stanley Walczakowski, please visit our Tribute Store. "Email Address" would like to share the life celebration of Stanley Walczakowski. Click on the "link" to go to share a favorite memory or leave a condolence message for the family.